The Best Pearl blogs from thousands of top Pearl blogs in our index using search and social metrics. Data will be refreshed once a week. Los Angeles, USA About Blog Established in 2003, PearlsofJoy.com quickly established a strong footing in the pearl industry as an educational company. Starting out with a small selection of pearls and a simple website over 10 years ago. Founder Kevin Canning has become one of the most recognizable experts in the industry and has brought Pearls Of Joy to the forefront of the pearl industry. Facebook fans 24,693. Twitter followers 864. San Francisco, CA About Blog Discover the latest pearl jewelry design trends, how to wear pearl fashion tips, useful pearl facts, and more fun and valuable insights related to pearls. Facebook fans 36,366. Twitter followers 10,217. Muscatine, Iowa, USA About Blog KariPearls.com is a fun and fascinating website providing information on all kinds of pearls with a growing focus on natural or non-cultured pearls. The mission is to provide excellent information about Natural Pearls and to connect buyers and sellers of Non-Cultured Pearls. Facebook fans 3,122. Twitter followers 3,230. Los Angeles About Blog Founded in 1996 and brought online in 2000, Pearl Paradise has grown into the world's largest online pearl company. Peek inside the world's largest online pearl company to learn about pearls, pearl fashion and the pearl industry. Facebook fans 122,324. Twitter followers 2,994. About Blog Established in 2003, Pearl-Guide.com is an International confederation of natural and cultured pearl dealers, pearl farmers, traders, wholesalers, hobbyists, authors, and consumers. Pearl-Guide.com was founded as a place for jewelers, pearl farmers and pearl experts to discuss and promote cultured and natural pearls. Facebook fans 13,876. Twitter followers 364. India About Blog Pure Pearls - an exclusive hyderabad online pearl jewellery store in Adyar, Chennai, India. Pure Pearls deals with all kinds of pearl jewellery including Pearl anklets, pearl bracelets, bangles, pearl pendant and earrings, pearl earrings, pearl necklace sets, pearl brooches and a lot of pearl accessories. Facebook fans 1,013. Twitter followers 17. About Blog PearlsOnly was formed to provide well-informed shoppers top quality pearls - pearls that would be difficult to find in the finest of retail shows - directly through the internet. Learn valuable information about pearls including understanding the different types and varieties, grading, and how to shop for pearl jewelry. About Blog The Pearlescence blog features news and information from Pearlescence, from the world of pearls and from Pearlescence customer. Facebook fans 910. Twitter followers 377. Georgia, USA About Blog The Pearl Girls hand-picks, designs, or restrings classic pearl necklaces and pearl jewelry for generations of memories and milestones. Facebook fans 14,342. Twitter followers 572.
san rafael , california About Blog Kojima Company is a unique venue for pearl jewelry, natural and rare pearls. Specializing in Japan Kasumi pearls, we encourage sustainable pearl farming. Facebook fans 1,306. Twitter followers 21. Chicago, Illinois About Blog The Add-A-Pearl company is a division of Juergens & Andersen Company, manufacturers of fine jewelry since 1854 and the largest importer of natural pearls in the country. At the Add-A-Pearl Company our goal is to provide the finest quality pearls available along with an ongoing commitment to protect and support only responsible use of our natural resources. Cheshire About Blog Pearl Jewellery Online is a brand from Scintilla Fine Jewellery Ltd a Cheshire based Jeweller specialising in high quality pearl jewellery on silver and gold findings. Facebook fans 268. Twitter followers 16. North Carolina, USA About Blog Naughton Braun PEARL Jewelry: re-imagined freshwater pearl necklaces, pearl bracelets & pearl earrings. Discover how to intertwine pearl jewelry and your favorite fashions in ways that are both classic and trending! Traveling the globe affords Naughton Braun an inspirational platform for our design of pearl necklaces, pearl bracelets, and pearl earring. Facebook fans 616. Twitter followers 1,475. About Blog Discover beautiful Pearls. Follow to find more information. About Blog YIDE Jewelry, formerly jyxpearl (www.jyxpearl.com), has had more than 10 years of exporting experience in all kinds of pearl and gemstone products. YIDE is dedicated to fully support global distributors, franchisees and agents by continuously supplying thousands of pearl and gemstone products and providing drop shipping service started from only one piece. Facebook fans 75. Twitter followers 72. About Blog Juwelen Design is a specialized jewelry designer and creative studio jeweler company in Kuala Lumpur, Malaysia. We focus not only on manufacturing customized hand crafted jewelry in precious and semi-precious gems but also specializes in pearls. 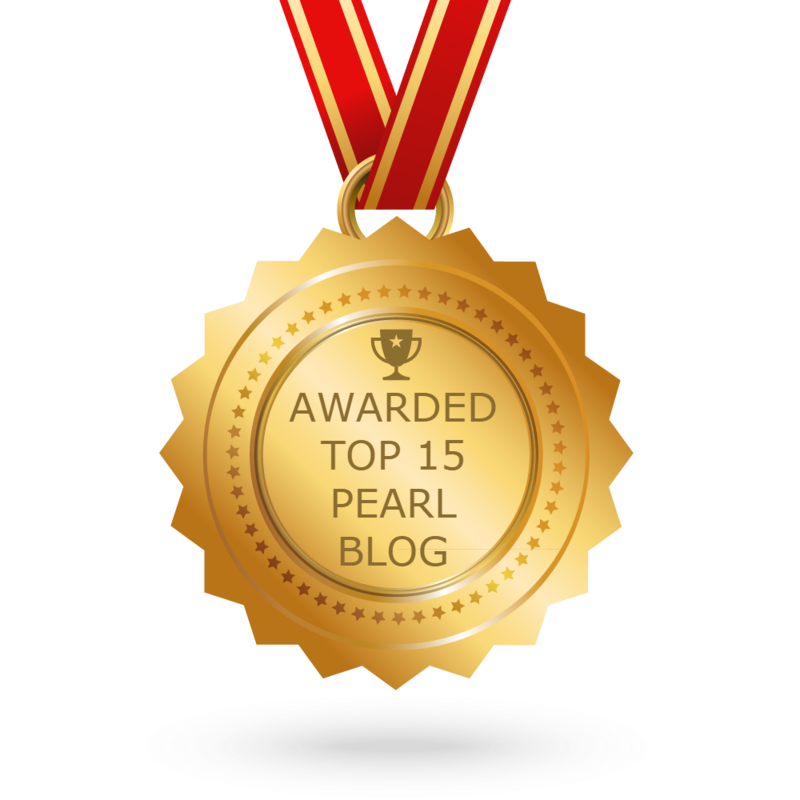 CONGRATULATIONS to every blogger that has made this Top Pearl Blogs list! This is the most comprehensive list of best Pearl blogs on the internet and I’m honoured to have you as part of this! I personally give you a high-five and want to thank you for your contribution to this world.